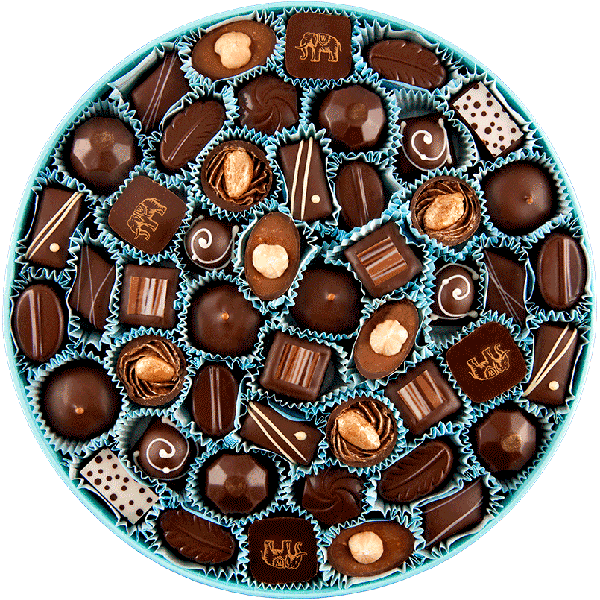 A Mostly Dark Assortment combines shells of intense dark chocolate with exquisite fillings made from dark, milk and white chocolate ganaches and fresh creams to form a luxurious collection. Your box may include: Honey, Heart of Darkness, Caramel Almond and Dark Hazelnut, though all boxes vary. Please see our index of chocolates for descriptions. Our chocolates are best if consumed within 7 to 14 days of delivery.